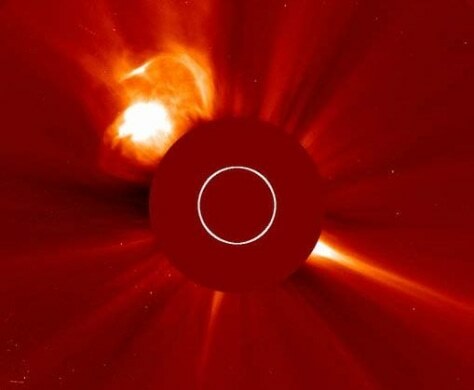 The Solar Heliospheric Observatory caught the extreme ultraviolet flash of an X1-class solar flare at 11:13 p.m. ET March 4. In this picture, the glare of the sun itself has been blocked out by a coronagraph disc.